Ballcard Mania: It Holds Heritage Cards and Pizza! 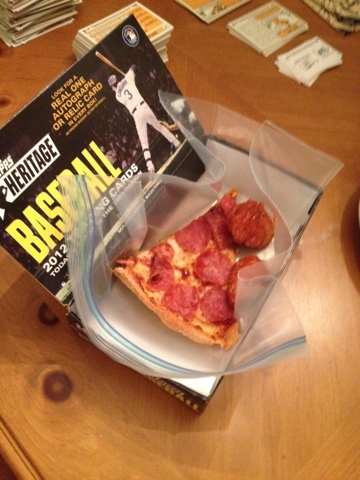 It Holds Heritage Cards and Pizza! Is that a Jacks pepperoni pizza? Man, could you imagine actually pulling a slice of pizza out of a fresh box? Man, I'd take that over broken shards of pink gum any day.